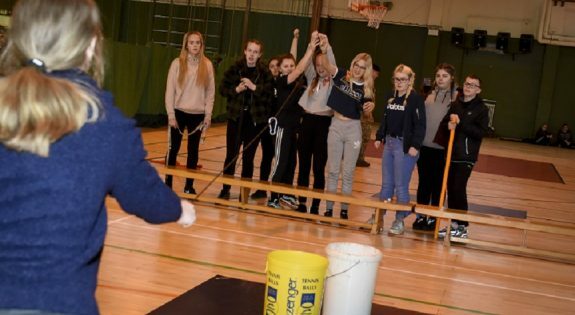 Fifty students attended the action-packed day organised by the Army Training Regiment (Grantham) at Prince William of Gloucester Barracks, Grantham. The young people who were all aged between 13 and 16 years completed a series of tasks that tested their teamwork, discipline, leadership and team spirit to the limit – all key attributes for a serving soldier. One of the problem-solving tasks saw them working in teams to move a container out of ‘shark infested waters’ with rope. The students also had to put their trust in one another when they guided a blindfolded friend to a ‘safe area’. They also tacked a First Aid and STEM (Science, technology, engineering and maths) tasks. 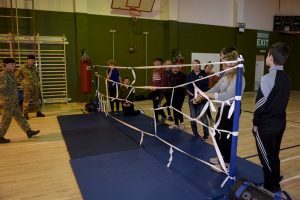 The Head of Haven High Academy Matthew Van Lier who serves as a reservist with the Army Training Regiment (Grantham) said: “Part of the day is about developing teamwork and leadership skills. These are skills we try and teach in the classroom environment but essentially there is nothing better than seeing it in practice outside the classroom. 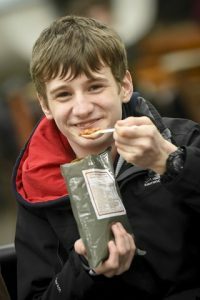 Lunch was an Army Ration pack cooked by the students on a portable stove. “Part of the day is about developing teamwork and leadership skills. These are skills we try and teach in the classroom environment but essentially there is nothing better than seeing it in practice outside the classroom."